Hey, this is Christina calling in with the Mexico climb at 7:45 in the morning, and we are standing on the summit. It is howling wind sideways and blowing snow so everyone’s covered in a layer of rime. Everyone did so well climbing and we are all up here in good spirits taking a very quick photo, and then we’re going to be out of here quick because the weather is coming in. Tomorrow is our rest day and we are all looking forward to it. Congratulations to our team, we are 100% on the summit of Ixta. 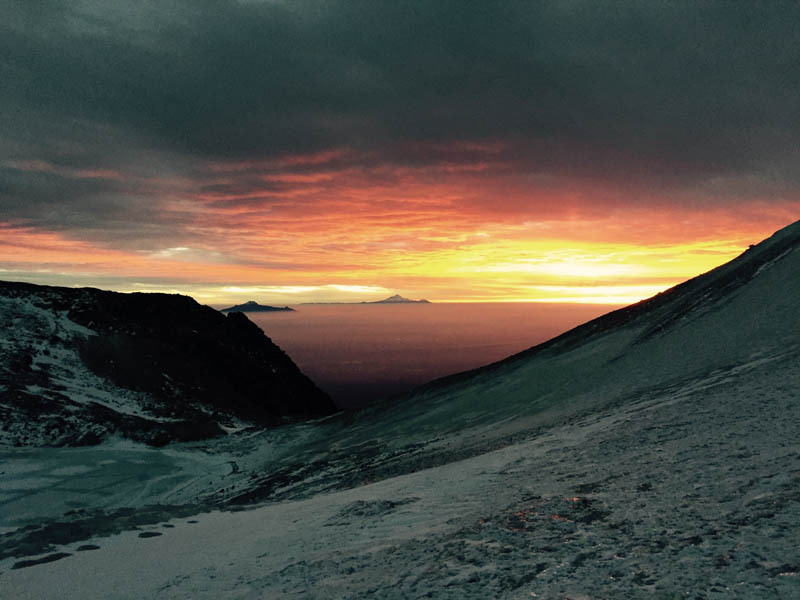 RMI Guide Christina Dale calls from the summit of Ixtaccihuatl.